Wow, what a weekend to be a New England sports fan! My throat hurts from yelling with excitement! After a beautiful Friday and Saturday in the mountains, Sunday was raining and gray and perfect for sitting inside to watch two amazing games. The Patriots and The Red Sox both coming back with two big wins in the last seconds of the game. To celebrate- we ate some delicious drunk fruit! 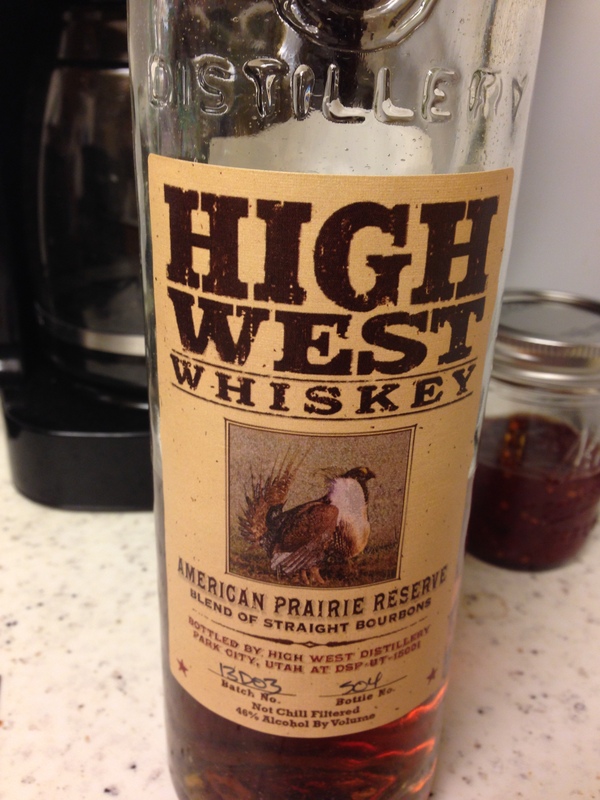 I used some really nice bourbon for this recipe thanks to High West, the whiskey distillery in town. 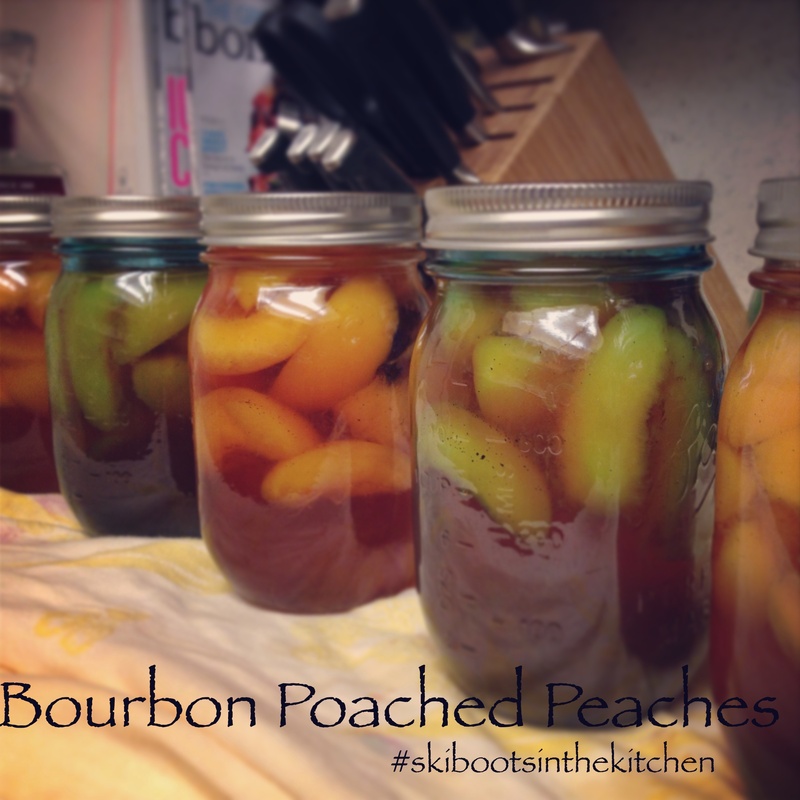 These Bourbon poached peaches are a great way to preserve summer fruit and it is easy to can them and store them for up to a year! The recipe also works well with pears too if you prefer! If you’re looking for a quick dessert option to satisfy your sweet tooth, throw these over some ice cream, frozen yogurt or greek yogurt for an easy treat! Enjoy! Bring a large pot of water to a boil. Meanwhile, prepare an ice-water bath. Cut a small X into the bottom of each peach. Boil peaches for 1 minute. Transfer to ice-water bath. Let cool slightly. Peel and pit peaches, and cut into 3/4-inch-thick wedges. Bring 4 cups water, the sugar, and vanilla seeds and pods to a boil in a large saucepan, stirring until sugar dissolves. Add peaches and bourbon. 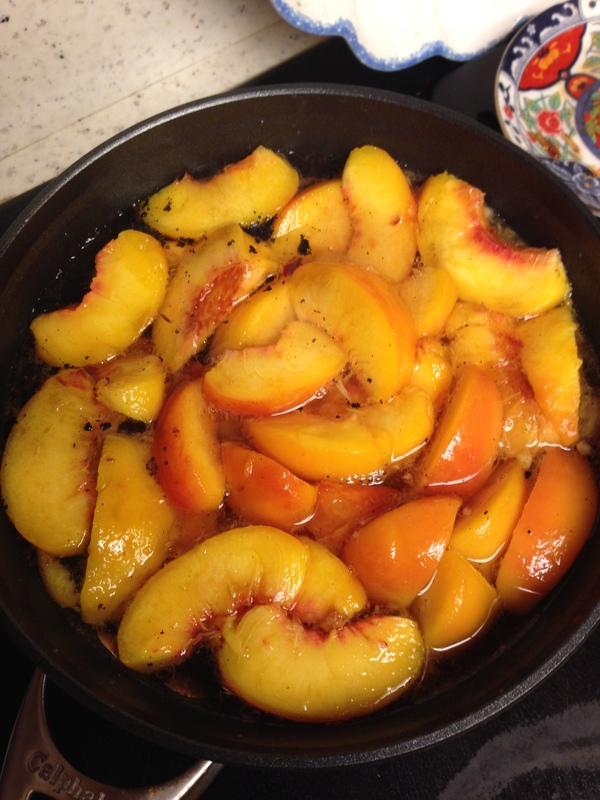 Simmer until peaches are tender but still hold their shape, 5 to 7 minutes. 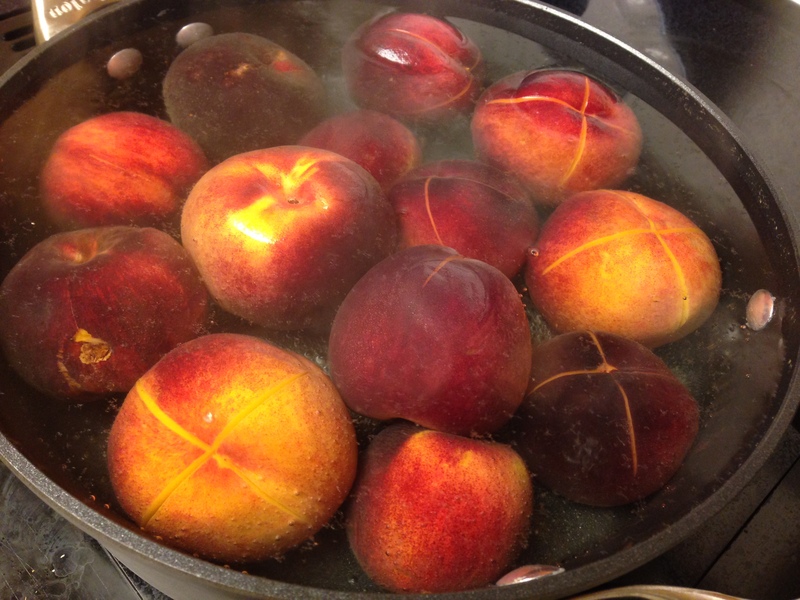 Transfer peaches to a large bowl using a slotted spoon. Cook syrup over medium heat until reduced by half, about 15 minutes. Pour over peaches. Let cool completely. Divide peaches among five 12-ounce sterilized jars using a slotted spoon. (Jars can be sterilized by boiling in water, submerged, for 10 minutes.) Pour syrup over tops. Add vanilla pods to jars if desired. Seal jars, and refrigerate until ready to use or can and process in a hot water bath for long term shelf storage. Recipe from Martha Stewart Living, August 2011. 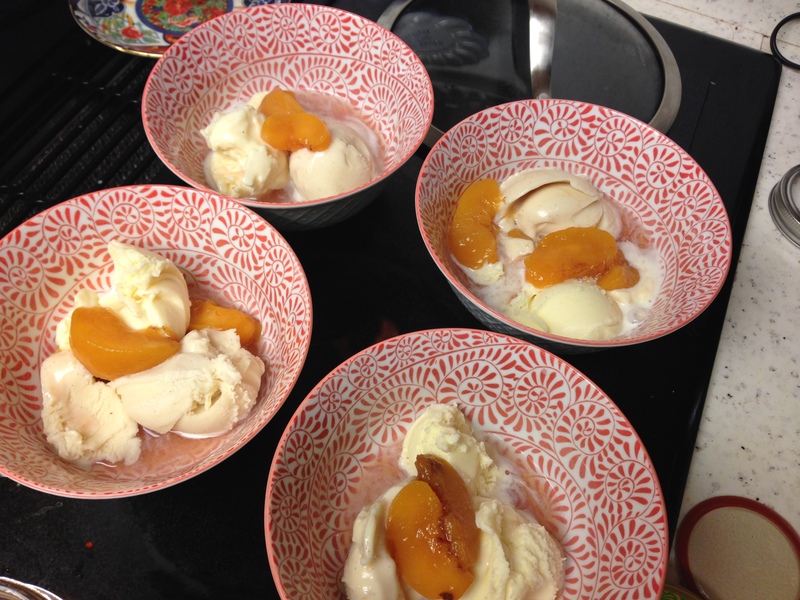 This entry was posted in Desserts, Recipes, Sweets and tagged bourbon, bourbon peaches, bourbon poached peaches, drunk fruit, easy dessert, High West Bourbon, peach, poached peaches by skibootsinthekitchen. Bookmark the permalink.